This is my first official blog post for my website. On this blog, you will find information on projects I am involved with among other composing-related activities. I would like to take this time to say welcome, and to let you know of a few exciting projects which will be taking place this year. 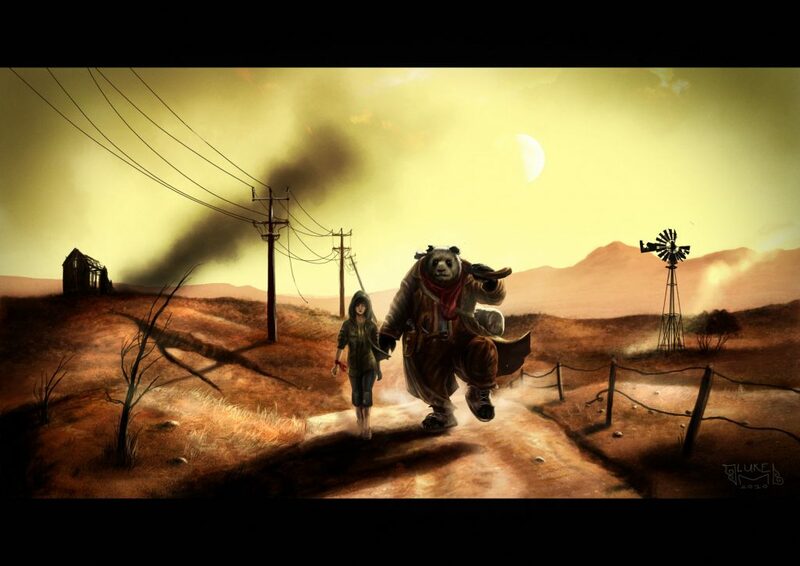 I have been asked to come on board to write the music for “Wastelander Panda,” a post-apocalyptic western… with a gun-slinging panda! This idea suggests a very interesting score, and I, along with other musicians, will be producing a score which could consist of a mixture of ingredients including Red Dead Redemption-inspired sounds-capes and traditional Chinese music. It is still very early to state anything definitive regarding the music, or even the film. So, watch this space! The second half of this year will see the premier of Aurora, a 30-minute steam-punking swashbuckling epic, complete with huge CG-VFX shots and a sweeping orchestral score. Despite the ridiculously small budget, everyone on the crew (and those just outside who have seen/ heard the work in progress) will proudly say the quality of the work is outstanding despite the resources available. Everyone must see this film, not only for them to enjoy it as it should be, but to also justify my being a hermit in my home studio for most of the score’s composition/ production stage.